With a stay at Le Divine, you'll be centrally located in Levanto, just a 3-minute walk from Levanto Beach and 8 minutes by foot from Levanto Marina. Featured amenities include multilingual staff, luggage storage, and a safe deposit box at the front desk. Self parking (subject to charges) is available onsite. When you stay at Villa Talente in San Casciano in Val di Pesa, you'll be 15 minutes by car from Castello Sonnino. The front desk is staffed during limited hours. Free self parking is available onsite. With a stay at AD Villanova Cagliari in Cagliari, you'll be within a 15-minute walk of Bastion of Saint Remy and National Archaeological Museum. 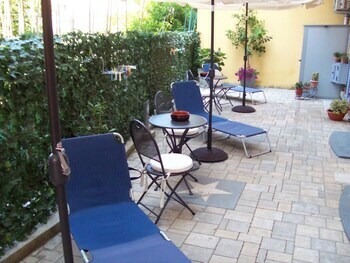 Located in La Spezia, Le Mie Stelle is within a 10-minute drive of Piazza Garibaldi and Ferry Terminal. Self parking (subject to charges) is available onsite.